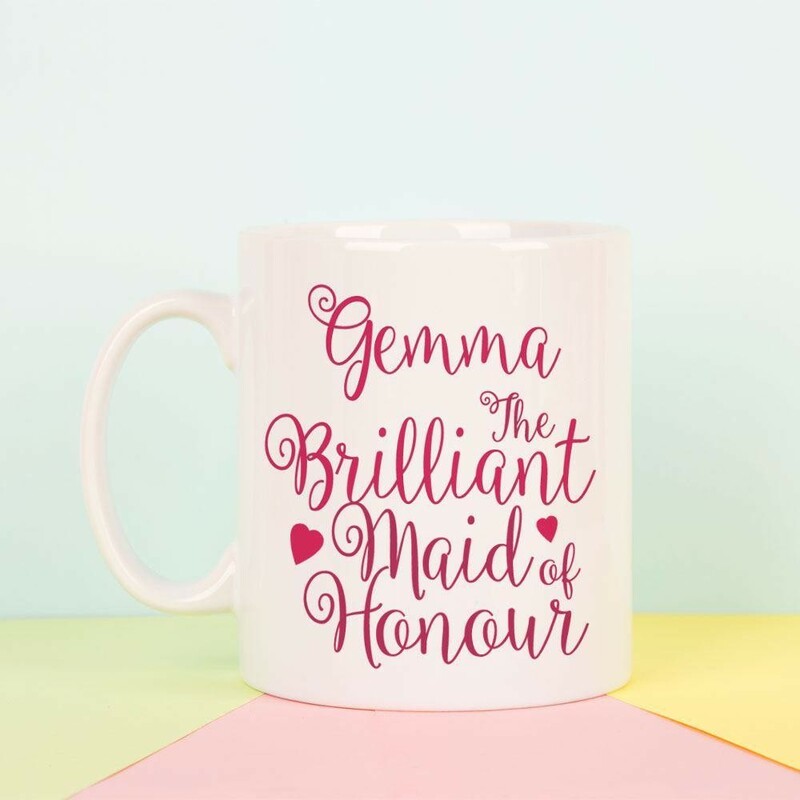 This personalised mug is a lovely way to say thank you to your maid of honour for supporting you through the planning stages and being beside you on your wedding day. 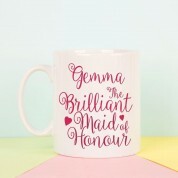 The front of the mug features a love heart design along with 'The Brilliant Maid of Honour' text and her name. There is a space on the back to add your own special message to your maid of honour. It is a lovely memento for her to remember the important role she played in your big day. It can be used on the morning of the wedding to hold a cuppa or perhaps some champagne inside and then used in the home or in the work place afterwards. 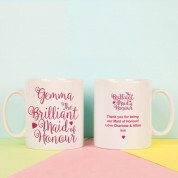 Why not get the other girls in the wedding party matching mugs? We offer 'The Lovely Bridesmaid' and 'Pretty Flower Girl' and other designs for him or her. We would recommend that you hand wash your personalised mug.